For Raven Black, hunting criminals is second nature. So is denial. It's not easy moving forward with one foot stuck in the past. 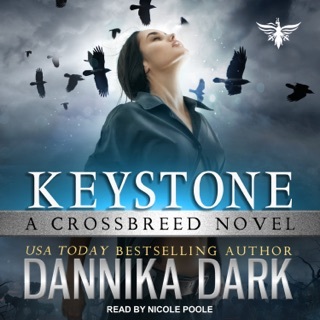 But a new case offers her a much-needed distraction when Keystone accepts their toughest assignment yet—to track down an elusive criminal who's selling children on the black market. Wow, just wow! This book hit all of my emotional buttons from giddiness, laughter, nail biting, to tears. The storyline is well developed and provides plenty of action, suspense, drama, and love interests to keep the book lover engaged. The narrator did an awesome job with providing unique voices and tones for each character and scene. The speed of reading is perfect. Dark has done it again! Keystone has a new case, and it promises to be one of the most twisted and strange yet, and the gang is ready to go. A child has been ripped from the womb and is for sale on the black market – and it is up to them to discover the who and what, and find the child. SO much tension here: Raven and Christian’s chemistry is sparking throughout, Shepard often seems like he’s struggling with something from his past, and there is a stranger that keeps reappearing around Raven, but she never seems to deal with questions about who he is and why he’s there. Oh the questions are endless, and the answers come in tiny reveals, as we are allowed inside the investigations, get more of Raven’s POV and far less from Christian, and hearts break for Shepard as his backstory and the case seem to intersect in so many ways. From a slower start to the wild twists and a few moments of “oh finally” for Christian and Raven, the story is engaging and engrossing. These are character and case driven stories that work to build the romantic and friendship/teammate connections as they proceed from one case to the next. 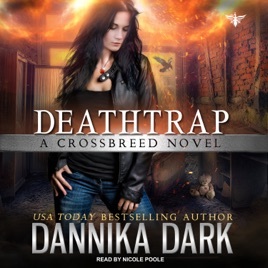 Oh there is some delicious tension between Raven and Christian – they are well-suited but neither (to their credit) is willing to put themselves or their relationship before the case, and the trust in teammates and the support that is shown allows readers and listeners to see this group in action, and want to be a part of it. With a character that is removing his presence from memories, a chance for Shepard to ‘make things right’ (read avenge) his losses of the past, and some questionable reveals that seemingly only lead to more questions and issues, this story puts the series firmly in my favorites, leaving me with some answers, more questions and desperate to get more. More stories, cases, reveals and answers. 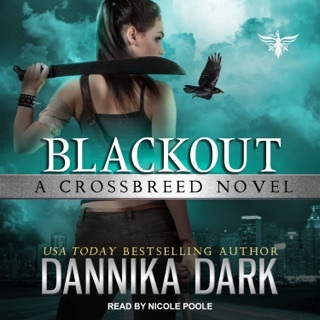 Nicole Poole has narrated this series from the start, and she presents the characters with flair: giving everyone their own voice, speech patterns, emotions (or lack of) and personalities. Each moment arrives with the sense that she, as the presenter, is as excited for the story and reveals as the listener should be – and that nuance that is indefinable but very present keeps you in the story and ready for the next. A series that you’ll want to start from the beginning, grab it and give it a listen. 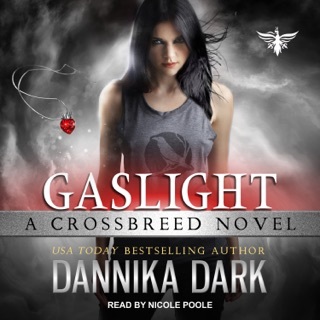 You’ve got time before Gaslight (book 4) comes out!